In this article Mark Ford discusses the popularity of people setting up a business at home and the most common things that contribute to unfortunately causing them to fail. This article is not to put you off setting up a business at home, it is more to help you avoid the most common pitfalls that individuals suffer from. Setting up a business at home has evolved over the years from the more traditional service industries into setting up an online business as technology has become more sophisticated, and individuals buying habits have changed. We are living in what is called the digital economy where people are purchasing their products and services online rather than the traditional way we used to. Literally you do not have to leave your home anymore to get the things that you need and desire. So there is a huge opportunity to tap into the digital economy by setting up an online business where you can attract customers from all over the world. That sounds all well and good and there are millions of home business owners who are leveraging the internet to make substantial incomes, and you could be one of those individuals if you follow the tips that I am going to share with you which will help you avoid the most common mistakes that people make. Competition is good for any business as it means that there is a demand for the products and services that are being sold. When there is too much competition though you may be setting yourself for a fall before you start. Too many people who set up a business at home fall into the trap of selling exactly the same products as other people. This can be independent retailers as well as the major brands like Amazon. If the market is saturated with the same types of products then you will find it very hard to make any money at all. The thing to do is find your specific niche that has a hungry audience but to sell unique products and services, this will make you stand out from the competition. Long gone are the days when you could just throw up any old website to sell your products and services. Today you have to have professional and clean looking websites. They need to be easy for the visitor to navigate so that they know exactly where they can purchase what you are offering. You need to have secure hosting and website themes that are mobile responsive which also load very quickly. People have busy lives and they will click away forever if your website takes a long time to load. There really is no excuse to have a sub-standard website as there are very affordable services available where you can host and create stunning websites. 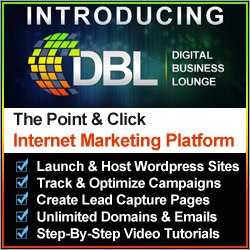 My recommended resource for this is the Digital Business Lounge and you can find out more about this service by clicking the banner below. This is one of the main reasons that online businesses fail. If you are not getting enough eyeballs on your products then you will definitely struggle. 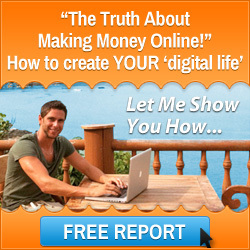 What you will need to do is learn some basic internet marketing skills. There are many courses that you can purchase, or you can try and work it out for yourself, but I would not recommend this. What I would recommend is to get professional help from credible people who can train and mentor you in all aspects of digital marketing. 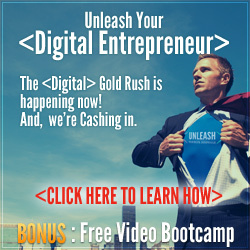 My recommended resource for this is the Six Figure Mentors and you can learn more about how they can help you market your products and services by clicking the banner below. Whenever people start a business at home they think that they have do to everything themselves. What you need to do is concentrate on the things that are income producing activities. If you find yourself getting stuck on technical things then find people who are specialised and can take that task away from you. It is called outsourcing and I do this in my business. I have people all around the world who perform tasks to help my business run smoothly. Yes it does cost me money but it is a far more cost efficient than me trying to do everything myself. 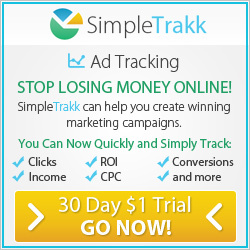 Some business owners are very impatient and get frustrated if they don’t see instant results. Success doesn’t happen overnight so you will have to accept this. You need to be patient and give it time. I would say you have to give it at least 6 months to a year at a minimum. Get educated and do this > learn, do, teach! Having a business at home gives you lots of flexibility in relation to time freedom. It also has the potential when done right for you to earn a substantial income so I hope that the tips I have shared with you have been valuable. If there is anything else I can help you with then please click here. I wish you every success in running your business from home. This entry was posted in Home Based Business, Start Home Business and tagged business at home, mark ford, start a business at home. Bookmark the permalink.